JOSHUA BELL is one of the most celebrated violinists of his era, and his restless curiosity, passion, and multi-faceted musical interests are almost unparalleled in the world of classical music. Named the Music Director of the Academy of St Martin in the Fields in 2011, Bell is the first person to hold this post since Sir Neville Marriner formed the orchestra in 1958. Equally at home as a soloist, chamber musician, recording artist and orchestra leader, Bell’s 2015 summer highlights include a South American and European tour with the Academy of St Martin in the Fields, a tour to South Africa, including appearances with the Johannesburg Philharmonic and Starlight Classics, performances in New York and Shanghai with the New York Philharmonic and summer festivals including Verbier, Tanglewood, Mostly Mozart and Saratoga. Bell kicks off the Fall season performing with the Houston, St. Louis and Indianapolis Symphony orchestras A U.S. recital tour with pianist Sam Haywood, a European tour with the Academy of St Martin in the Fields and three concerts as guest soloist with the New York Philharmonic led by Alan Gilbert both end the year and start 2016. The new year continues with a U.S. recital tour with Sam Haywood and with the Academy of St Martin in the Fields. Orchestral dates celebrating the Baltimore Symphony Orchestra’s Centennial season conducted by Marin Alsop, the Orchestre de Paris conducted by Paavo Jarvi, and the London Symphony Orchestra are also scheduled. Bell is then off to Asia for a recital tour with Alessio Bax and orchestra appearances highlighted by an appearance in Tokyo with the NHK Symphony Orchestra under the baton of Leonard Slatkin. Bell circles back to Europe for a recital tour with Sam Haywood before returning to be a guest soloist with the Detroit Symphony and then jets off to the Middle East to tour with the Israel Philharmonic led by Michael Stern. An exclusive Sony Classical artist, Bell has recorded more than 40 CDs since his first LP recording at age 18 on the Decca Label garnering Grammy, Mercury, Gramophone and Echo Klassik awards in the process. 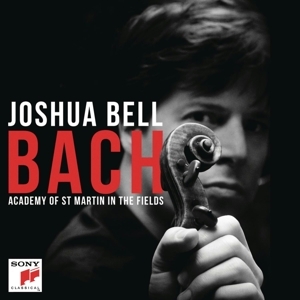 In October, 2014 HBO aired the documentary special Joshua Bell: A YoungArts MasterClass to coincide with the eagerly anticipated release of his Bach album recorded with the Academy of St Martin in the Fields. Bell and the Academy’s previous release of the Beethoven 4th and 7th symphonies debuted at #1 on the Billboard charts. Recent releases include Bell’s holiday CD, Musical Gifts From Joshua Bell and Friends, featuring collaborations with Chris Botti, Chick Corea, Gloria Estefan, Renée Fleming, Plácido Domingo, Alison Krauss and others. 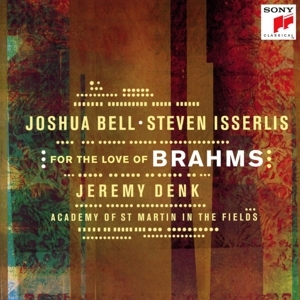 Other releases include French Impressions with pianist Jeremy Denk, featuring sonatas by Saint-Saëns, Ravel and Franck, At Home With Friends, Vivaldi’s The Four Seasons with the Academy of St Martin in the Fields, The Tchaikovsky Concerto with the Berlin Philharmonic, as well as The Red Violin Concerto, The Essential Joshua Bell, Voice of the Violin, and Romance of the Violin which Billboard named the 2004 Classical CD of the Year, and Bell the Classical Artist of the Year. Bell received critical acclaim for his concerto recordings of Sibelius and Goldmark, Beethoven and Mendelssohn, and the Grammy Award winning Nicholas Maw concerto. His Grammy-nominated Gershwin Fantasy premiered a new work for violin and orchestra based on themes from Porgy and Bess. Its success led to a Grammy-nominated Bernstein recording that included the premiere of the West Side Story Suite as well as the composer’s Serenade. Bell appeared on the Grammy-nominated crossover recording Short Trip Home with composer and double bass virtuoso Edgar Meyer, as well as a recording with Meyer of the Bottesini Gran Duo Concertante. Bell also collaborated with Wynton Marsalis on the Grammy-winning spoken word children’s album Listen to the Storyteller and Béla Fleck’s Grammy Award winning recording, Perpetual Motion. Highlights of the Sony Classical film soundtracks on which Bell has performed include The Red Violin which won the Oscar for Best Original Score, the Classical Brit-nominated Ladies in Lavender, and the films, Iris and Defiance. Perhaps the event that helped most to transform his reputation from “musician’s musician’ to household name was his incognito performance in a Washington, DC subway station in 2007. Ever adventurous, Bell had agreed to participate in the Washington Post story by Gene Weingarten which thoughtfully examined art and context. The story earned Weingarten a Pulitzer Prize and sparked an international firestorm of discussion. The conversation continues to this day, thanks in part to the September, 2013 publication of the illustrated children’s book, The Man With the Violin by Kathy Stinson illustrated by Dušan Petričić from Annick Press. Bell has been embraced by a wide television audience with appearances ranging from The Tonight Show, Tavis Smiley, Charlie Rose, and CBS Sunday Morning to Sesame Street. In 2012 Bell starred in his sixth Live From Lincoln Center Presents broadcast titled: One Singular Sensation: Celebrating Marvin Hamlisch. 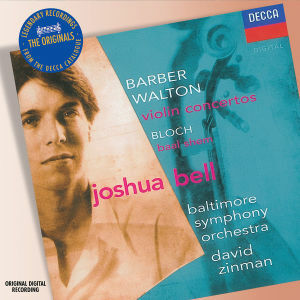 Other PBS shows include Joshua Bell with Friends @ The Penthouse, Great Performances – Joshua Bell: West Side Story Suite from Central Park, Memorial Day Concert performed on the lawn of the U.S. Capitol, and A&E’s Biography. He has twice performed on the Grammy Awards telecast, performing music from Short Trip Home and West Side Story Suite. He was one of the first classical artists to have a music video on VH1 and he was the subject of a BBC Omnibus documentary. Bell has appeared in publications ranging from The Strad and Gramophone to Time, The New York Times, People Magazine’s 50 Most Beautiful People, USA Today, The Wall Street Journal, GQ, Vogue and Reader’s Digest among many. Growing up with his two sisters in Bloomington, Indiana, Bell was an avid computer game player. He placed fourth in a national tennis tournament at age 10, and still keeps his racquet close by. At age four, he received his first violin after his parents, both mental health professionals, noticed him plucking tunes with rubber bands he had stretched around his dresser drawer handles. By 12, he was serious about the instrument, thanks in large part to the inspiration Josef Gingold, his beloved teacher and mentor. Two years later, Bell came to national attention in debut with Riccardo Muti and the Philadelphia Orchestra. His Carnegie Hall debut, an Avery Fisher Career Grant and a notable recording contract further confirmed his presence. Bell has received many accolades: In 2013 he was honored by the New York Chapter, The Recording Academy; in 2012 by the National YoungArts Foundation, in 2011 he received the Paul Newman Award from Arts Horizons and the Huberman Award from Moment Magazine. Bell was named “Instrumentalist of the Year, 2010” by Musical America and received the Humanitarian Award from Seton Hall University. In 2009 he was honored by Education Through Music and received the Academy of Achievement Award in 2008. He was awarded the Avery Fisher Prize in 2007 and was inducted into the Hollywood Bowl Hall of Fame in 2005. In 2003 Bell was chosen to perform at the World Economic Forum for an audience of global leaders and was later recognized by that prestigious organization as a Young Global Leader. Convinced of the value of music as both a diplomatic and educational tool, he has performed for three U.S. Presidents as well as the President of China and devoted himself to several charitable causes, most notably Education Through Music, which has helped put instruments in the hands of thousands of kids in America’s inner cities. Violin Concerto No. 1, Violin Concerto No. 2 e.a.